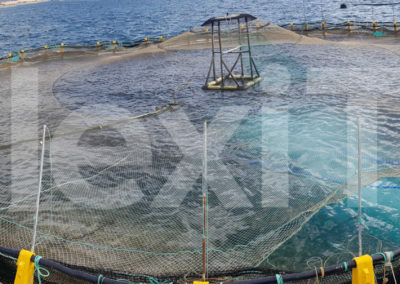 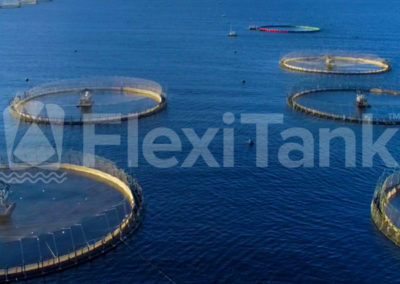 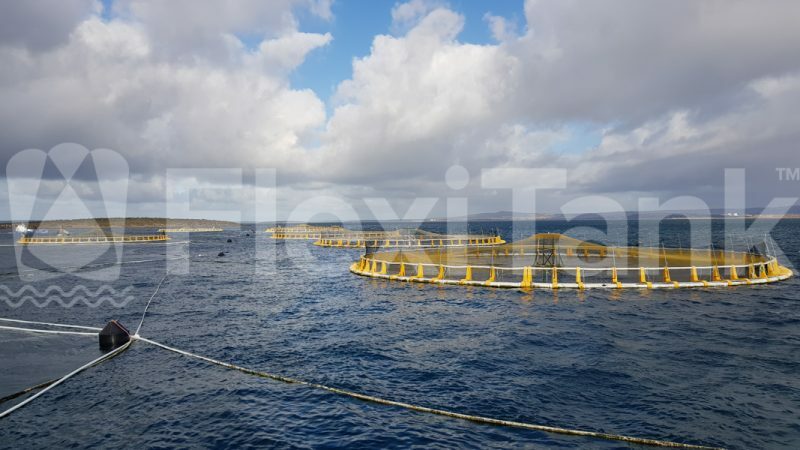 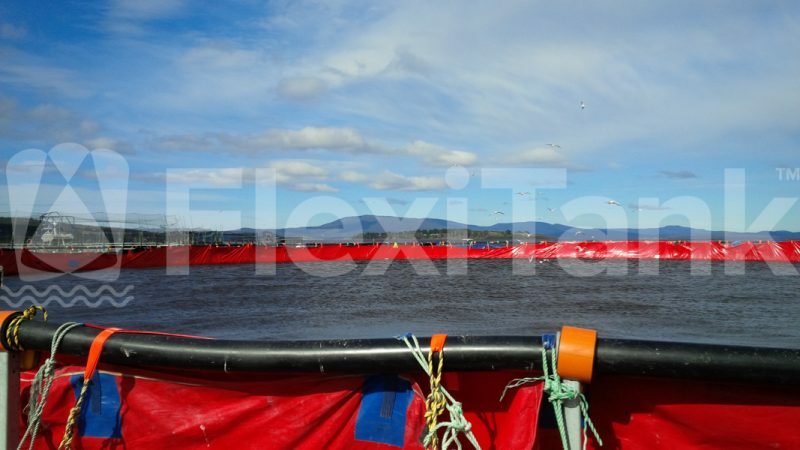 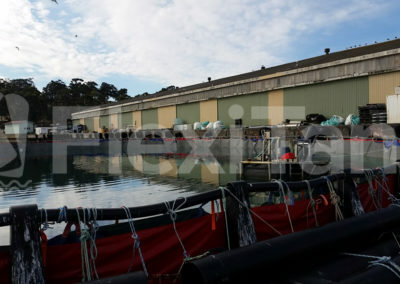 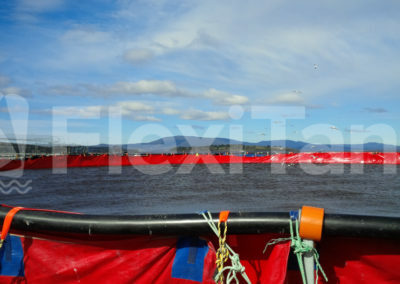 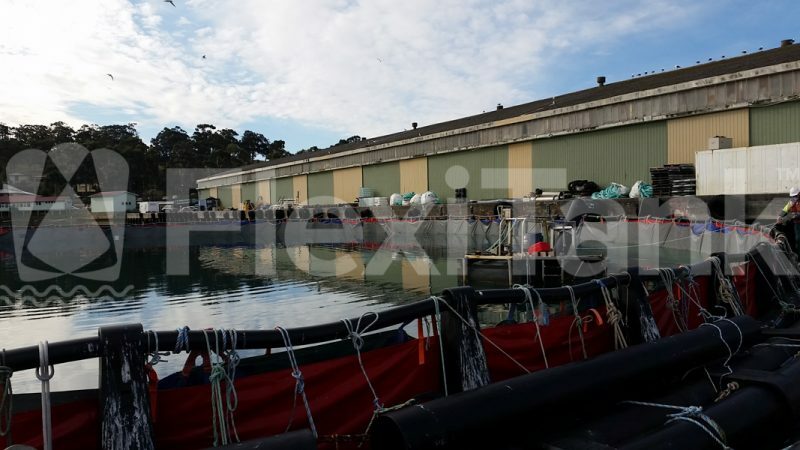 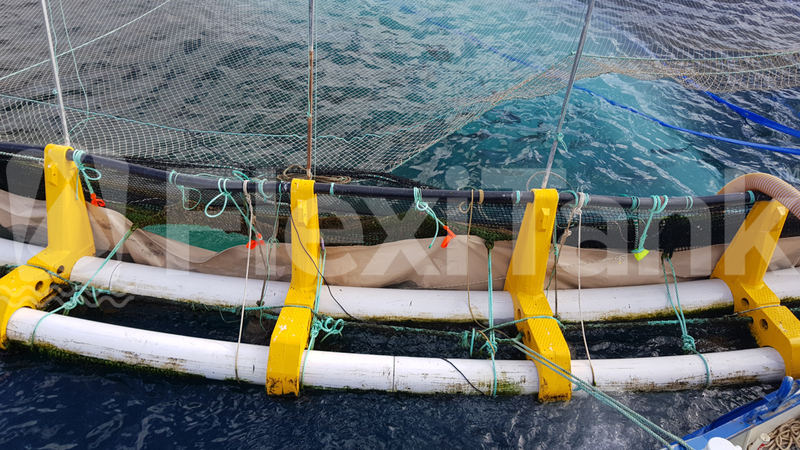 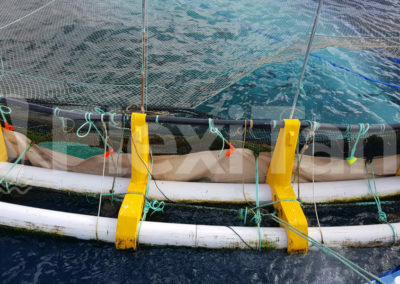 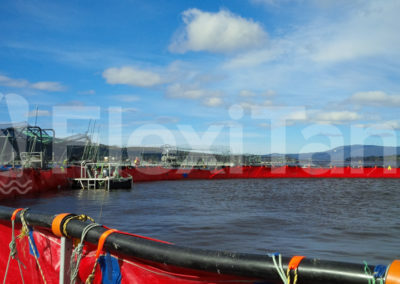 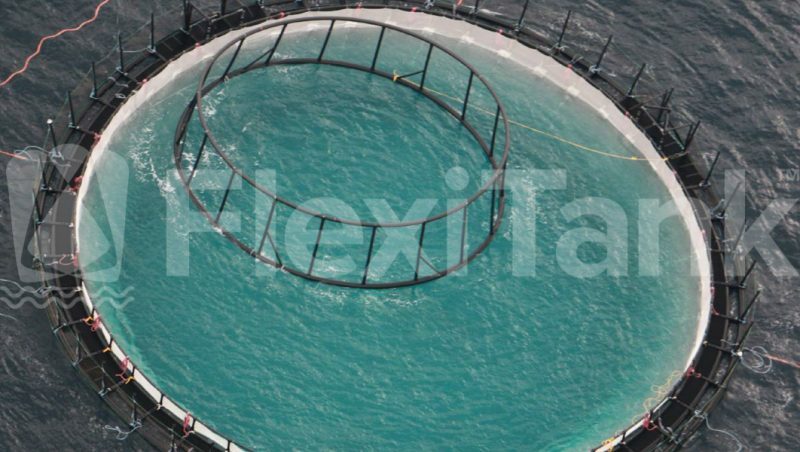 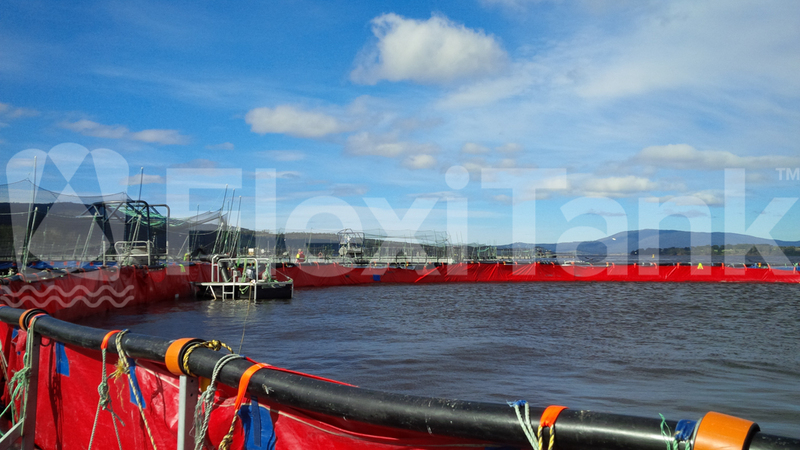 Flexitank specialise in the manufacture of Aquaculture cage liners for a variety of applications both on land and at sea. 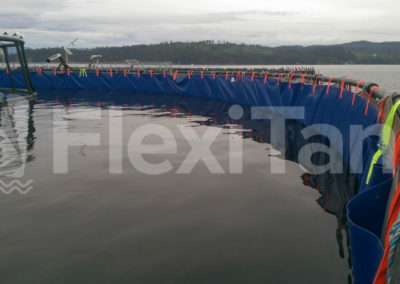 Aquaculture cage liners, suited for sea based fish and worm farming, is a product solution Flexitank has been delivering for over 10 years. 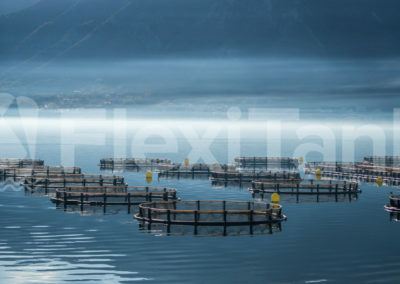 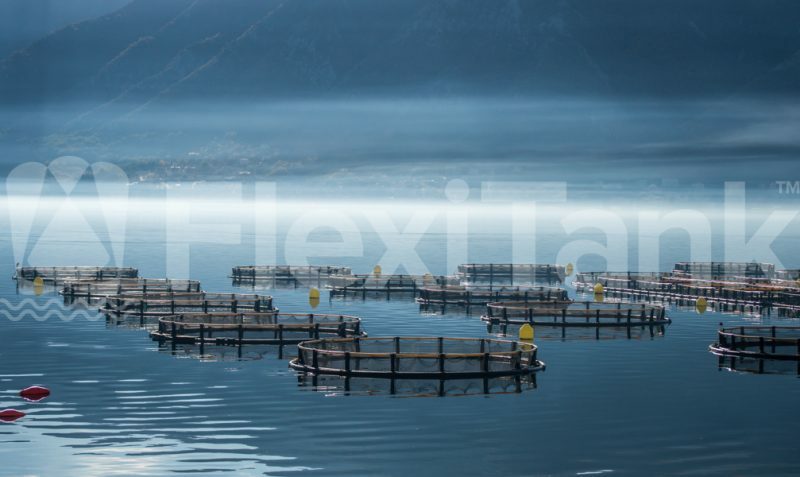 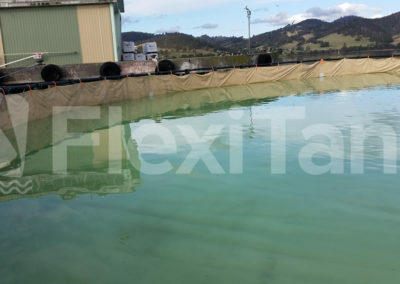 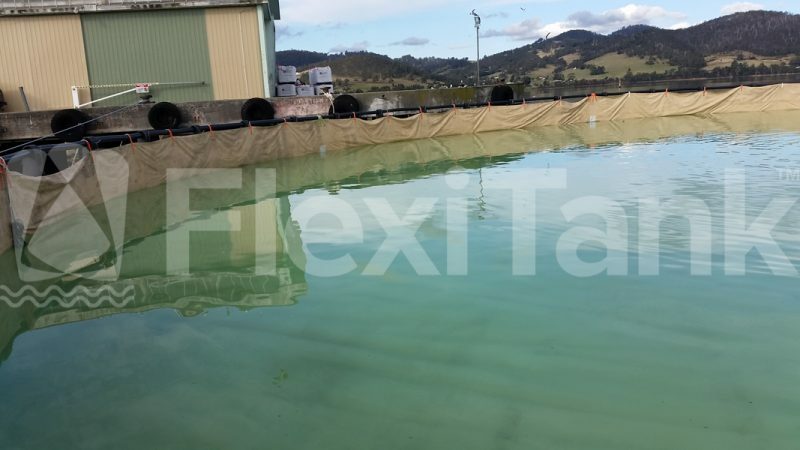 Originally a companion to our popular and successful tank lining business, Flexitank has now developed complete aquaculture pen lining solutions offered to various aquaculture businesses around the globe. 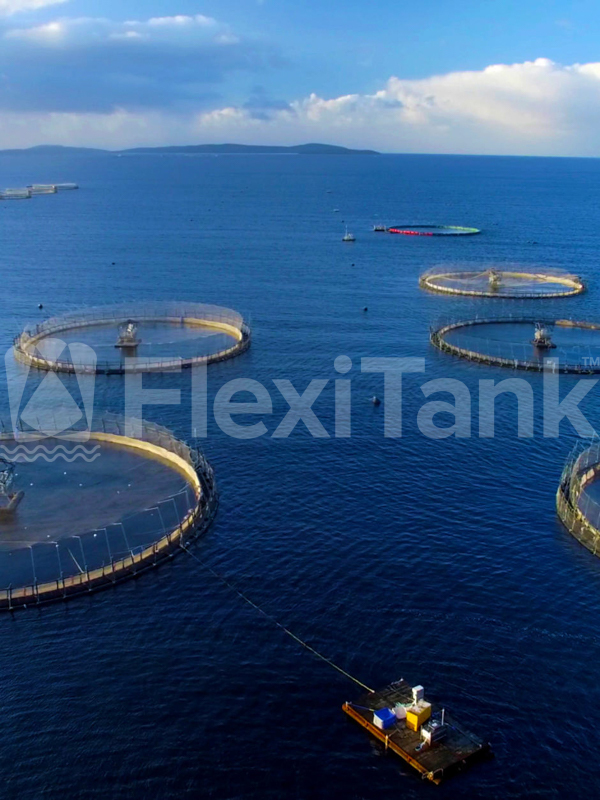 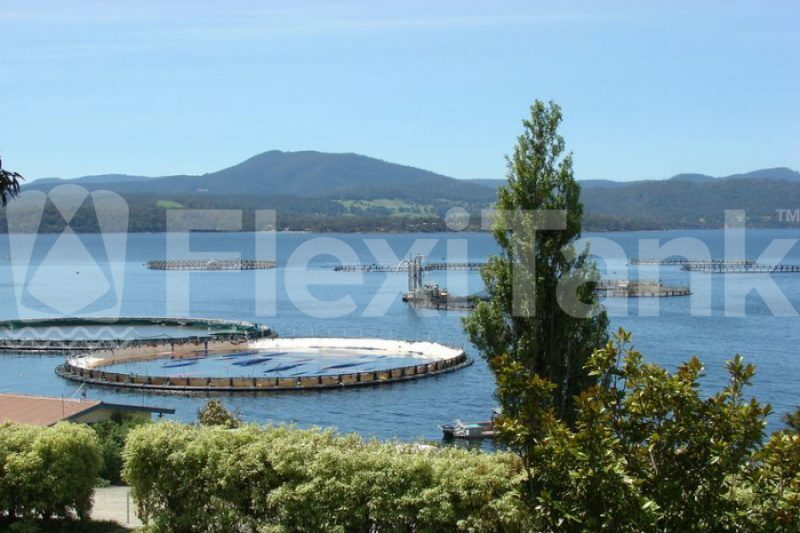 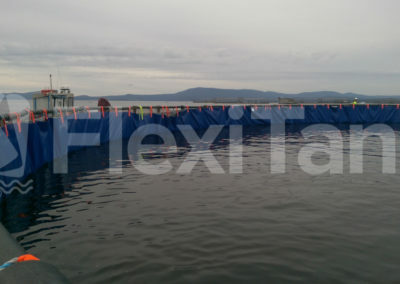 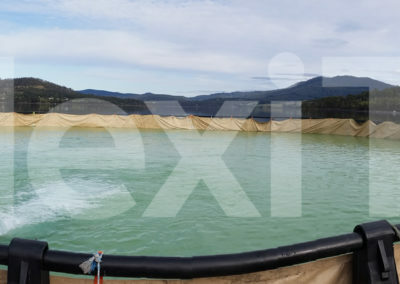 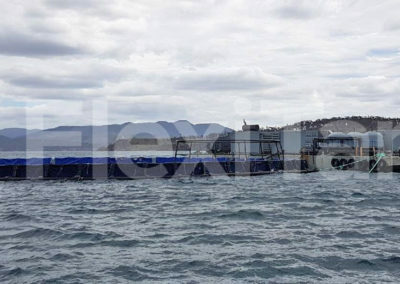 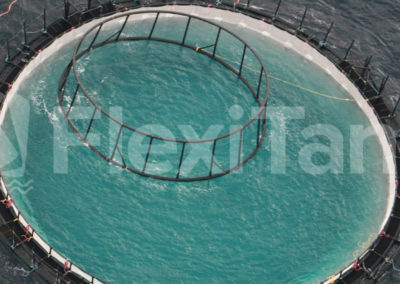 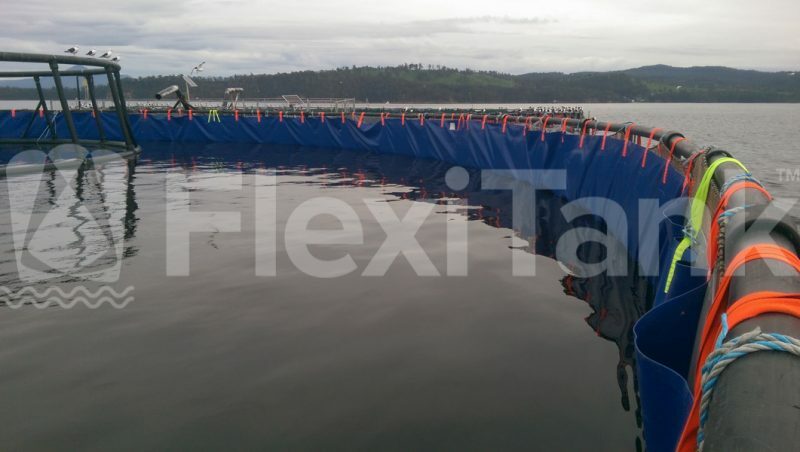 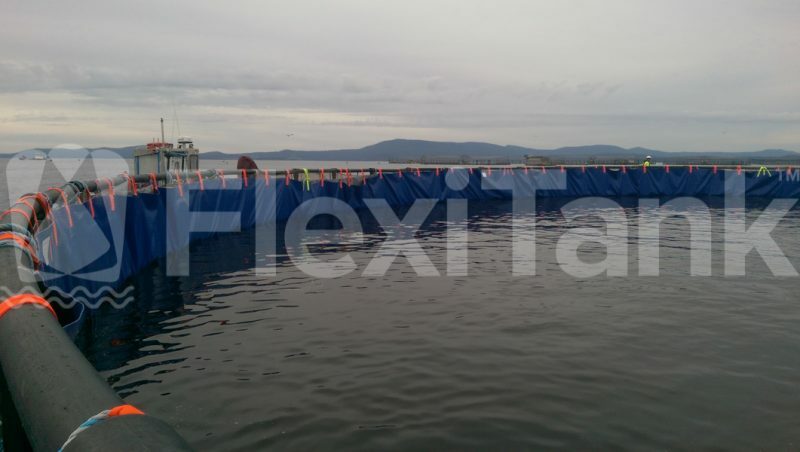 Flexitank floating liners offer a product solution for floating salt and fresh water storage, suited to ocean borne aquaculture farming. 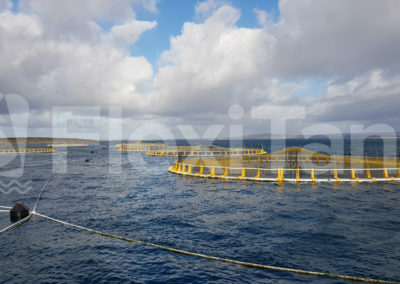 Aquaculture pen liners have been deployed around the globe to fight the spread of Salmo Salar amoebic gill disease and sea lice as well as the transportation of fresh water in large scale open top floating liners, and other natural and chemical treatment procedures, both in open water and inshore ocean environments. 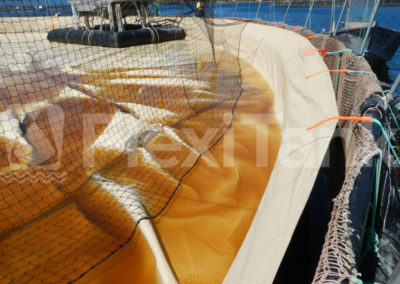 AqualineTM fabrics include product offerings in Thermal Poly Olefin (TPO), Thermal Poly Urethane (TPU), TPU/PVC blends, and high density poly ethylene (HDPE). Through Flexitank Australia’s exclusive Aqualine range of polymer coated fabrics, developed in conjunction with key industry aqua culturists over the past 8 years, Floating Pen Liners have successfully been delivered and installed throughout in Australia, to Tasmanian Atlantic Salmon (Salmo Salar) farmers, as well as South Australian and New South Wales Yellowtail Kingfish (Seriola lalandi) farmers.